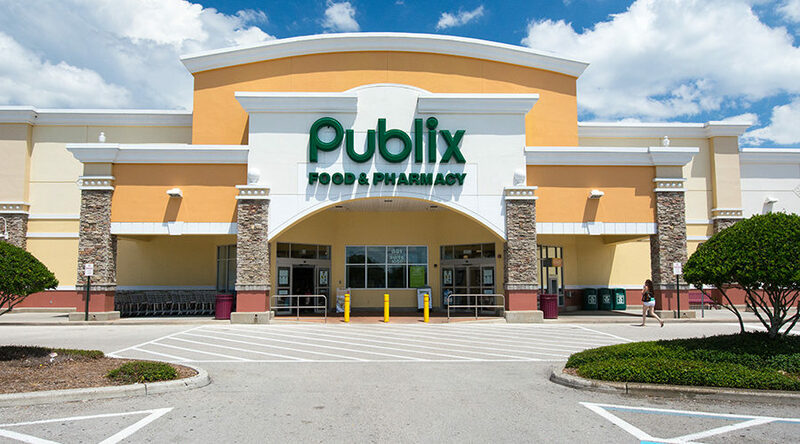 This well-positioned Publix anchored shopping center is Located at the NE corner of SR 434 and Gateway Dr., just north of Maitland Blvd. 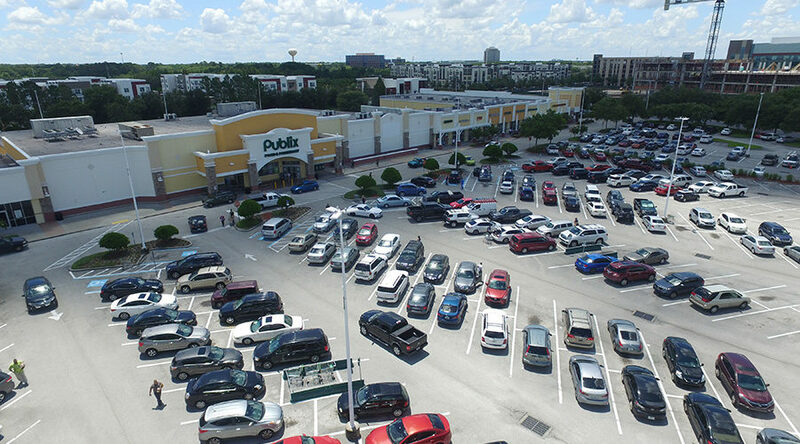 This busy center benefits from Maitland Center which boasts the highest daytime population in Central Florida after downtown Orlando and is located just east of the plaza. 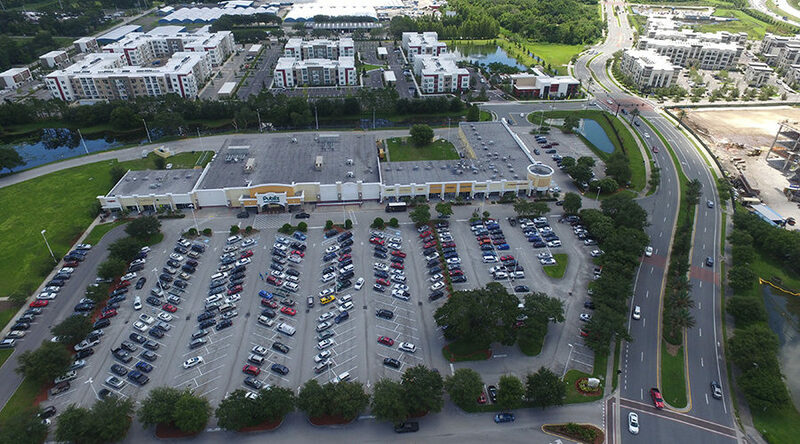 In addition, Gateway Crossings sits across from Adventist Health’s headquarters (1,500 employees) to the south, and across from the 43-acre Seminole State College Altamonte Campus which currently hosts 6,100 students and will be expanding from its current 100,000-SF campus to more than 1.4 million square feet. 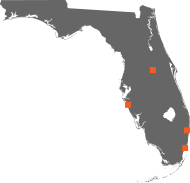 Two new apartment communities were recently constructed on Gateway Drive totaling approximately 650 units. 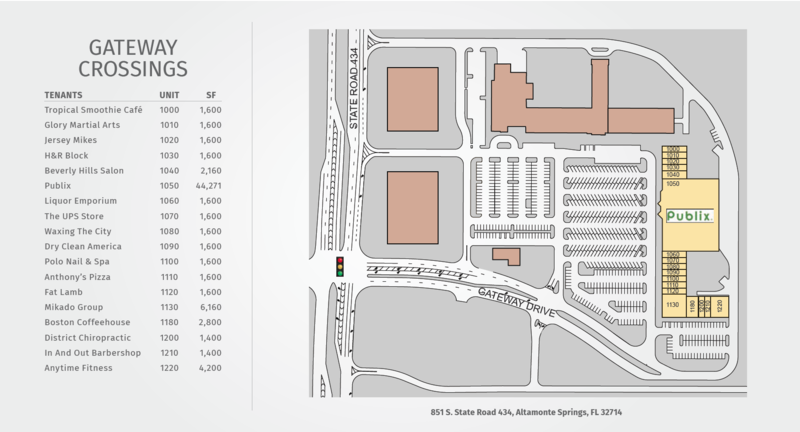 Current traffic counts in this retail corridor total 46,000 vpd on SR 434, with an additional 54,000 vpd on Maitland Blvd (SR 414).